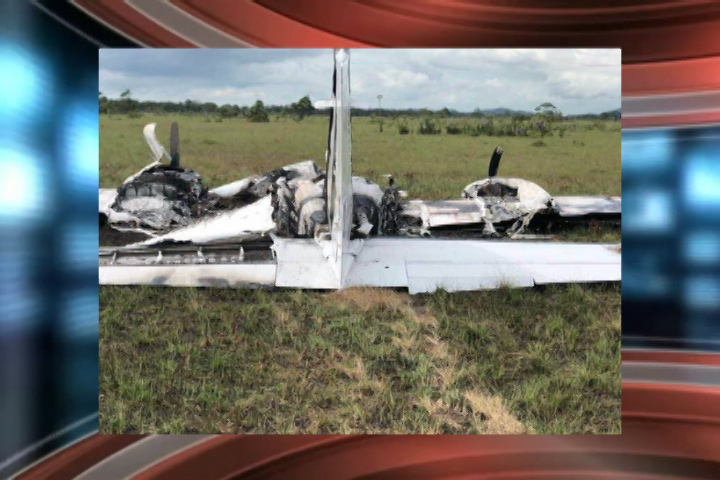 Police say that they are investigating the circumstances surrounding the discovery of a twin-engine King Air Beach Craft that had been almost completely destroyed by fire. ACP Joseph Myvett gave the media a preliminary report on the case. Officers say they combed the surrounding area and found nothing illegal. They also have not been able to establish anything surrounding the plane’s origin or purpose. As for reports that a BDF bomb specialist had confirmed that explosives were used to destroy the aircraft, Police say they do not have any such information.